Author’s note: In this review, the term man is used both in the individual sense, to refer to a specific person, and in the general sense, as a shortened version of mankind. It seemed fitting to use the word in the same manner that Marcus Aurelius does throughout his book, as a reflection of his perspective and writing style. Meditations by the Roman emperor and Stoic philosopher Marcus Aurelius is not your standard philosophical text. It was never written for public consumption. The emperor used the journal for personal purposes, recording his thoughts, insights, and musings, and processing significant events. Aurelius studied philosophy but didn’t consider himself a philosopher. He didn’t even think of himself primarily as an emperor, a position he did not want and which fell to him by the machinations of others. In fact, one of his biographers recorded that Marcus was “compelled” to take power. Above all, Aurelius was most concerned with being a good man. Meditations is filled with Aurelius’s reflections about life. He loved to write reminders to himself about his (and everyone’s) ultimately humble position in order to avoid the overweening pride and arrogance that was the downfall of so many emperors. 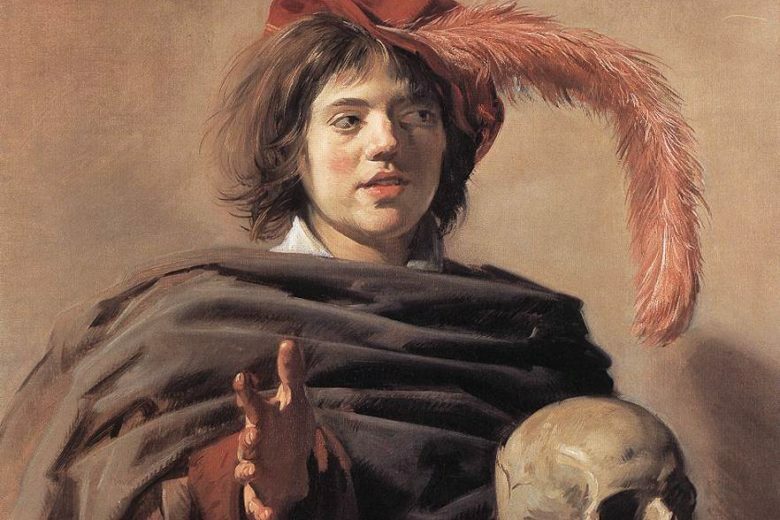 He took to heart the common Roman saying memento mori, “remember that you are mortal.” He names men – philosophers, emperors, generals, senators, etc. – and follows with the simple rejoinder “they are all dead.” He recognized that all men are equal with respect to mortality: They enter the world with nothing and leave with nothing. Each person’s status in life is a result of powers outside of their control: destiny, fate, the gods, or random chance. To quote a more modern saying: “There, but for the grace of God, go I.” In the same way, Aurelius reminded himself to not take his position for granted, but to be thankful for everything he received in life, be it to the gods, fate, or chance. Marcus was a fatalist because he recognized that the same fate awaited all people. But fatalism shouldn’t be equated with pessimism. His view of life is remarkably high-minded, believing that all people should strive to be the best person they can be regardless of circumstances. Though man cannot control his lot, he chooses his response. No man can wholly be a slave, since his mind and his will are always within his purview of control. The good man, then, attempts to make the greatest good possible the result of all his decisions. It could mean submitting to an unjust decision, as Socrates did, or it could be resistance to the point of death. The latter point was illustrated in a story Aurelius recounted in his journal: A Spartan boy was captured during battle and taken as a slave. No older than perhaps 10, he told his captors that he would never be a slave, that no Spartan would willingly submit to slavery. The first time he was given a command to work, the boy dashed his head against a wall and died, preferring death to submission. Both Socrates and the Spartan boy were placed in dire circumstances against their will, and both chose to respond in whatever way best enabled them to achieve the greatest good in their situation. For Socrates, it was honoring the state and setting a good example for his followers; for the boy, it was escaping a situation that was incompatible with his deepest belief – that a Spartan should live and die a free man, not as a slave. Although different applications, they express the same principles: First, that a man does not choose his circumstances, but can always choose how to respond to them, and second, that death ought not be feared as the greatest possible evil but accepted as a natural part of life. A cursory reading of the Meditations reveals an almost morbid preoccupation with mortality. It seems as though every other line muses on the impermanence of life, the ultimate lack of meaning behind our preoccupations, and the immortality of the soul. A closer look at his work shows that these reflections are an extension of the aforementioned fatalism. Marcus Aurelius appeals to a sense of scale, a realization that our troubles are temporary, and forces one to confront the truth that mortal things are fleeting. In short, he says: You’re going to die, you don’t know when, so get your life in order so that when your time comes, you can face the end with dignity and peace of mind. His preoccupation with death is understandable when one realizes that, out of his thirteen children, only five outlived their father – the rest died in childhood. Regarding the immortality of the soul, Aurelius asserts what appears to be an early version of Pascal’s Wager. He says that one of two things are true: Either the soul is immortal and our deeds echo in eternity, or the soul perishes with the body and comes to an ultimate and final end. He is silent about the veracity of these opposing views, but he says in either case, it is better to live a good life in pursuit of truth and in control of one’s emotions and mind than to squander it on petty and meaningless diversions that so often distract us from what truly matters. What does this mean for the modern reader? First, it helps to stop thinking of oneself as a modern reader, and to starting thinking of being a reader in general. Marcus Aurelius cites wise men who had lived 500 years before himself and never refers to himself as being in any way superior to or different from them on account of the time in which he lives. He believed that wisdom, truth, and human nature never change, even though circumstances do, and he predicated his entire philosophy on that understanding. The wise action does not change based on things as temporary as fashion and circumstances. People change, but their nature does not. Part of that nature is free will, and Marcus believed that that free will is essential to human reality. We can choose to do right or wrong; we can choose to feel one way or another. To Aurelius, we ought to use our reason to acquire a healthier, more useful perspective on life. I believe this perspective is a more empowering and liberating notion of humanity than current in-vogue theories about the primacy of feelings. We are told that people fall in love, and fall out of love; that we must have the latest nifty gadget, shoe, or toy to make us happy; that we don’t choose to feel a certain way. Marcus did believe that there were things in our lives that were outside of our control, nor did he deny that people could be and were gripped by powerful passions, but he did not consider our reason and will subordinate to these passions. I can personally attest to the power of Marcus’s Stoicism. A few years ago I suffered from periodic bouts of depression, and the only relief I found was in taking command of my feelings, doing what I knew was right, rather than letting my emotions dictate my choices. I hadn’t read about Stoicism yet, but learned those techniques via books my counselor recommended to me. Imagine my surprise, then, when I first investigated Stoicism and found its recommendations to be almost exactly like my counselor’s, which made such a difference in my life. When I say that Stoicism is a practical and useful philosophy that can change your life, I speak from experience. It is my hope that this will encourage you to explore the same concepts. Very good writing Henry. Makes for good reading. Kinda supports that scripture about taking our thoughts captive.